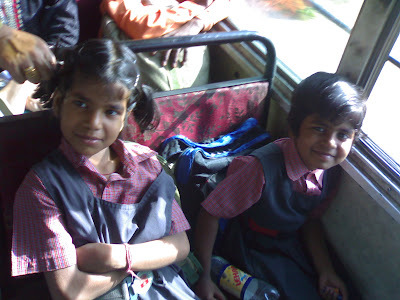 Two young friends of mine, I met on the Bus I take to work daily. These two talk so much about I have no idea what... One day they requested me to take their photograph. I obliged in good jest. But when I saw this photo... I knew I had to blog it. What a wonderful, candid photo!